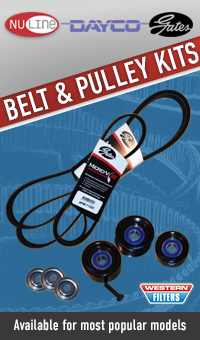 Western Filters stocks a great range of Belt & Pulley Kits. Included in the kits are products from industry leaders such as Gates, Dayco, Nuline & Bando. Goods must be in original condition and packaging. Serious Four Wheelers Rely on Western Filters for All Their 4WD Oil, Air, Fuel and Full Filter Kits. How Do Fuel and Water Separator Filters Work? What Can Provent Oil Catch Cans Offer to Your Vehicle?